Even something as small as making a colleague a hot drink without them asking could turn around their day. Taking time to stop and find out how someone’s day is going can make them feel noticed and valued. Remembering to thank someone when they help you out can make them feel appreciated. It almost goes without saying that NHS doctors at all levels are working harder than ever, and as we get deeper into winter this pressure will only increase. Now, more than ever, those small acts are really important. In this year’s Christmas issue of The BMJ we have gathered doctors’ stories of small acts of kindness. The stories range from the deeply personal and moving to the lighthearted and uplifting. At their core, however, is a prevailing theme—a small gesture or kind act that brightened the author’s day. When times are tough, and you are working relentlessly hard, it is important to remember the power of the little things. We hope that sharing these stories, and encouraging you to share your own, will act as a reminder that there is kindness to be found everywhere and that your hard work is always appreciated. The BMJ has also put together a collection of content on doctors’ wellbeing, which can be found here. 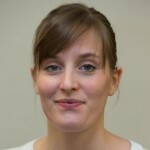 Abi Rimmer, deputy careers editor, The BMJ. 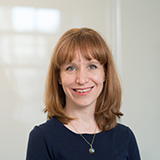 Juliet Dobson, digital content editor, The BMJ.